Stephen King’s epic dark fantasy, horror, and Western book series finally hit the big screen this weekend. The Dark Tower tells the story of a gunslinger, Roland Deschain (Idris Alba), and a young boy named Jake Chambers (Tom Taylor). Jake saw visions of a desolate Earth. It looked like a wasteland except for a gunslinger and the Man In Black (No, not Johnny Cash) who we discover is really named Walter O’Dim (Matthew McMcConaughey). The gunslinger and the Man In Black are locked in a battle to save the Dark Tower or destroy the Dark Tower. Jake’s mother and step-father wouldn’t believe he was having dreams of actual events. They eventually agree to send him to a special psychiatric hospital for help. Once Jake realizes the people sent from Sombra were not who they said they were, the adventure of The Dark Tower Begins. And so do the leadership lessons from The Dark Tower. Jake Chambers was dreaming about the Dark Tower. He couldn’t get the images he had seen out of his mind. He did everything he could to get rid of them, including drawing out images of the Dark Tower, the gunslinger, and the man in black. Jake knew something was going on. Yet no one would believe him. School counselors, his parents, and others all doubted his story. But he KNEW. He knew the visions were all true. The same goes for leaders. Leaders have a keen sense of what is coming. Leaders can SEE things others do not see. When you begin to see things that could come to fruition, don’t discount them. You’re seeing the possibilities of the future and the things you can make possible. Begin working towards the vision. You will get there. Death is not far away. While Walter O’Dim is the villain, he shared a wise leadership lesson in The Dark Tower. When he spoke the words that death is not far away, he spoke a truth every leader needs to realize. We don’t have a long time on this planet. The average lifespan in the USA is 78.74. That’s not long at all. Be aware of your mortality. Know you have a limited amount of time here and make the most of it. Jake’s parents didn’t believe him when he told them the people from the Sombra Corporation weren’t human. They thought he’d lost his mind. Yet Jake was right. The people that were sent for him weren’t human. They were what he called skin people (correct me if I’m wrong as I can’t remember the exact term). He saw the slit on the one man’s neck and knew. Leadership requires great vision. Vision so great many people will think you’re crazy and not believe in you. Their disbelief is okay. It’s to be expected. Don’t let others lack of belief in you stop you. Instead, move forward towards the vision you’ve cast. How did Jake know the man and woman sent from the Sombra Corporation weren’t human? He noticed the scar on the one man’s neck. This little detail told Jake all he needed to know. The people in his home were trouble. The little details tipped Jake off to big trouble. Do you pay attention to the little details? Sometimes, in the grand scheme of things, leaders can begin to lose track of the small details. They begin to believe only the big picture matters. This is when leaders start to get in trouble. The little things matter greatly. You have to notice when there’s small shifts in the market, your people, or even you. Don’t let the small things slip past you. Jake searched for the house he’d seen in one of the visions. When he found the house, he discovered a computer system. The computer system asked him for his destination. Recalling the numbers he’d seen in his visions, he entered 19-19 into the computer. The computer then opened up a portal to what was referred to as Mid-World. Leaders cast vision and create mission statements for a reason. The vision and mission statement are the big, red X on the map. These two things tells leaders where their destination is. When you know your mission and vision, you know your destination. And you can begin plotting a course for it. Okay… This is good. It’s all real. When Jake landed on Mid-World, he breathed a breath of relief. Everything he’d seen in his visions were real. He could finally believe them himself. Much like Jake, you might feel confused or like you’re crazy as you pursue the vision you’ve cast for your organization. You may wonder if you’ve cast the right vision or if you’re leading people in the right direction. When you arrive at the vision, you’ll feel a great relief flood over you. You’ll know all the hard work you poured into it wasn’t for naught. Your hard work was for something real. Upon arriving in Mid-World, Jake stumbled upon a smoldering fire and a flask of water. He began chugging the water to re-hydrate. That’s when Roland Deschain approached him. He asked Jake who he was. He needed to know who Jake was before he would be able to work with him. Do you know the people on your team? Are you willing to take the time to get to know them? Getting to know your team will be one of the best things you can do as a leader. Knowing your team helps you to know their strengths and weaknesses, their likes and dislikes, and what motivates them. Don’t neglect getting to know your team. Find ways to discover WHO you’re leading. You won’t regret it. After Jake told Roland who he was, Roland began to walk away. He didn’t want to take on the responsibility of watching over another person. Yet Jake knew there was something special about Roland the Gunslinger. He needed to follow the man. Great leaders know they can’t do leadership alone. They need someone to learn from. These great leaders pursue mentors. What these mentors look like varies greatly. There are virtual mentors you find through books and blogs like this one. There are faraway but involved mentors you interact with through email communications or the phone. And there are in-person mentors who you deal with on a regular basis face to face. When you find a possible mentor, pursue them. Find a way to have them pour into your life. Roland eventually relented and took Jake on. But Roland knew he needed answers and began a journey towards a nearby village. This was the village of Manni. There, they would find a seer who could peer into the visions Jake had seen. They would be able to give answers Roland or Jake couldn’t. Much like mentors, great leaders know they need consultants in their lives. These people will give advice on an as-needed basis. If you need answers, look for a consultant that can help you dig to the bottom of the issue you’re facing and then listen to their answers. Jake mentioned he was hungry to Roland. Roland then took off. This caused Jake to become nervous and think Roland had left him. Roland returns with a freshly killed rabbit. Why? Because Jake was hungry and Roland was able to provide for his needs. Great leaders are similar to Roland. They see the needs of their people. Then they go out and provide for them when they can. Andy Stanley often recalls the story of a young woman in his organization who told him she needed a paper cutter. Andy Stanley went out and purchased her a paper cutter. He saw a need and helped provide the staff member with her need. While you won’t always be able to provide every need, you can do for one what you wish you could do for all. This will build loyalty and trust. Be a leader who provides when they can. What happens in one world echoes in another. I loved this quote from The Gunslinger in The Dark Tower. There’s so much profoundness to be found here. In The Dark Tower, the other worlds would shake when The Dark Tower was attacked. Earthquakes became more and more common. This was due to the attacks. What happened in one world manifested itself in another. This is true in leadership. What happens in the workplace echoes in the home or in friendships. You can’t separate your work-life from the rest of your life. They echo within each other. Be aware of this as you’re leading. The extra time you spend at work echoes in your home. The moral decisions you make in the office echoes in your home. Or the relationship with your spouse echoes in the workplace. Jake and Roland were attacked by a demon. Roland was pinned to a wall and lost his gun. Jake attempted to get the gun to protect Roland. After Roland was freed, he told Jake he was proud of him. He told Jake how well he had performed. He let Jake know he did well. Great leaders let their team members when they performed well. They know encourage for doing the right things begets more of the right things. Stop holding back praise from your team. Regularly praise them for what they’re doing right (even if what they’re doing is only in their job description). Walter O’Dim/The Man in Black had a special power. He could make people do whatever he told them to do. Walter was able to tell a man to stop breathing. And he would. He could also tell two people to kill each other. They would instantly break out into a fight where both would wind up dead. Not really. Especially as a leader. Great leaders don’t force the people they’re leading to do things. Instead, great leaders help those they lead see the things that need to be done and then encourage them to do those things. There’s no forcing. Find ways to ENCOURAGE not FORCE your team members to do the things that will get your team to the vision you’ve cast. Isn’t that why we’re losing? Everyone stopped believing. Belief is a powerful thing. When people believe, they begin to take action. They work towards the vision. They feel like there is hope. When there is no belief, they stop working. They begin closing shop. They feel like there is no hope. Great leaders help their team believe in the organization and the vision. They give them reasons why there’s still reason to believe. As the Man In Black’s minions attack Manni village, Jake is captured. He’s being drug away. That’s when Roland stops. Roland then draws his gun and takes a shot. Laying out the bad guy. Amazing things begin to happen when you take the time to listen. You get critical feedback from members on your team or your customers. You see the direction business is moving. And you can see what you need to do to correct course. Find time throughout your day or week to listen to what is happening around you. 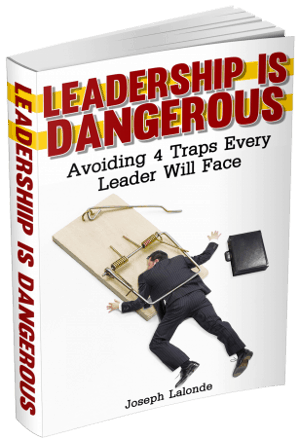 This will help guide you through the trials of leadership and where you need to head. When Jake discovered his mother was murdered by the Man In Black, he broke down. He wept fiercely. Then Roland stepped up. He offered to comfort Jake during his time of grief. This calmed Jake down and he could compose himself. Do you take the time to comfort those on your team? Whether they’ve had a bad week at home or a project didn’t go according to plan, be willing to sit down and comfort your team members. They will appreciate your show of support more than you could imagine. Jake knew what his mission was: To save The Dark Tower. Roland wanted to kill the Man In Black. But Jake wanted to remind him of the main mission. We can get off-course of the mission we’ve set for our teams. It’s the shiny object or squirrel! syndrome. Knowing we can get off-course helps us to get back on-course. Keep checking yourself to see if you’re pursuing the mission or some shiny object. Roland Deschain was the last gunslinger in The Dark Tower. His father had been murdered and there were no others left. Near the end of The Dark Tower, he began to train Jake to become a gunslinger. Roland shared the Gunslinger’s Creed and taught him how to shoot a revolver. You need to be training up new leaders. One day you won’t be there. Who will? Only the men and women you train up to take your place. Stephen King’s The Dark Tower movie was a great movie. The Dark Tower combined elements of a Western with fantasy/horror and what a combo that made! If you’re looking for something to keep you interested for an hour and a half, check out The Dark Tower. I believe you’ll be pleasantly surprised despite what the critics are saying. Question: Have you seen The Dark Tower? If you have, did you see any leadership lessons in The Dark Tower? 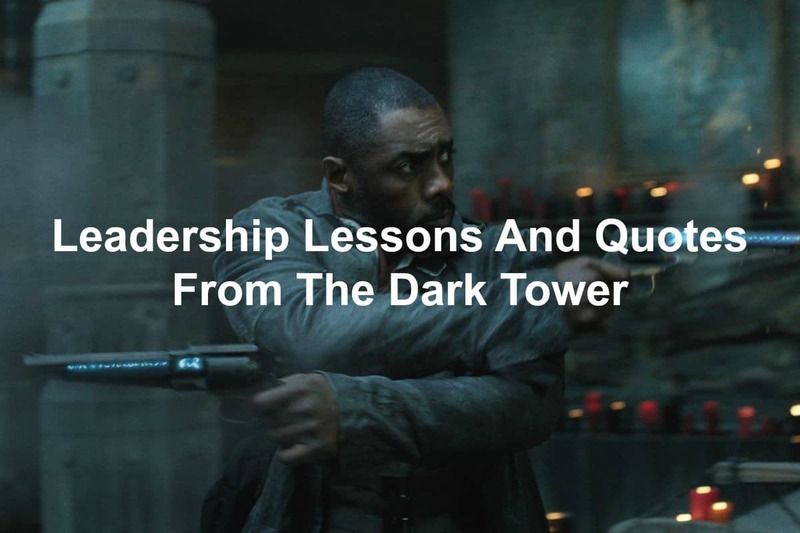 If you haven’t seen The Dark Tower, what was your favorite leadership lesson from The Dark Tower that I shared? Let me know in the comment section below.